Let’s talk about how to get into Purdue. We’ll look at Purdue SAT scores, Purdue ACT scores, and all things Purdue admissions. As a Midwesterner, I often joke that Indiana is the best state for higher education that you’re not visiting. Admittedly, it is more common to look to the West and East coast states when considering top school options. But Indiana is no slouch when it comes to prestigious universities. And Purdue is one of the biggest reasons to consider this lower-Midwestern state as a college destination. As you can see, Purdue admissions involve some pretty high expectations, especially for GPA. In spite of this, however, Purdue has a very favorable acceptance rate for applicants. Purdue accepts 56% of the students who apply. This relatively high acceptance rate is a rarity for a top school, and it’s good news for you! When you look at Purdue University SAT scores, it’s important to remember that these are the scores expected of applicants in general. If you are applying for a “first year experience” program in a specific major, you may be held to higher standards. For example, Purdue’s first year experience program for Engineering accepts students with an average SAT score of 1407. This is well above the general mid-50% range for Purdue SAT scores. (The mid 50% for Purdue ACT scores is also higher for this engineering program too)! When applying to a similar program, make sure to check the program’s specific SAT score expectations. It’s also worth noting that expectations for Purdue SAT scores might be easier to meet than the standards for Purdue ACT scores. Why do I say this? Well, the middle 50% of accepted students have an SAT range of 1160-1360. If you look at Magoosh’s conversion tables for SAT-to-ACT, you’ll see that this is equivalent to an ACT score range of 24-29. That’s a lower score range than the 25-31 Purdue ACT scores seen in the middle 50% of applicants. So is it harder to get into Purdue if you take the ACT? Read the next section of this article to find out. So what’s the deal with Purdue ACT scores? Does Purdue really have higher expectations for ACT test-takers? If you go strictly by the conversion chart I linked in the post above, the answer is “yes.” However, the real answer may not be that obvious or simple. For one thing, conversion charts never show exact, guaranteed equivalents between the ACT and SAT. Such charts can’t show a perfect equivalence because the two tests are not perfectly alike. Most noticeably, the ACT has a science section and the SAT doesn’t. But there are many other subtle and important differences in terms of the number of questions per section, vocabulary levels in Reading, the highest level of math concepts tested, and so on. So the ACT still may be your best option for how to get into Purdue, if it’s the test you’re most comfortable with. 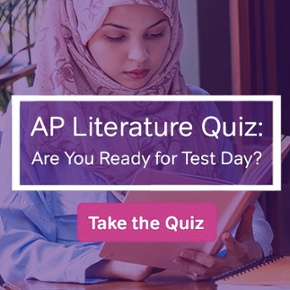 Not sure if you should choose the ACT over the SAT? This is another place where Magoosh has you covered. We’ve made an extensive complete guide to ACT vs. SAT. 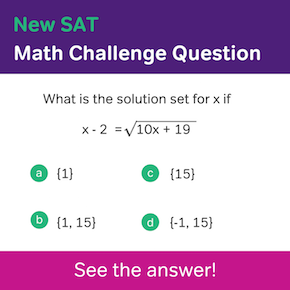 Or if you want a faster assessment, you can take this quick SAT or ACT quiz to get an idea of which test is best for you. 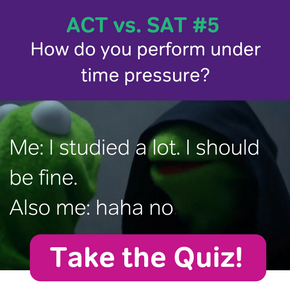 The ACT just may be your best option, after all, so don’t write it off just yet! Purdue Acceptance Rate: What Does This Mean for Your Purdue Admissions Prospects? As I mentioned, the Purdue acceptance rate is 56%. This does sound hopeful, doesn’t it? But don’t automatically assume you have more than a 50% chance of acceptance just because you have the right Purdue SAT scores, Purdue ACT scores, or GPA. Purdue takes a very “big picture” look at applications when it considers students. So ideally, you want more than just the right numbers. Make sure every aspect of your application package looks good. You’ll need to write an admissions essay which can be submitted through Purdue Common App, so be sure to consult Magoosh’s guide to writing the Common App essay. It’s also best if you have a letter of recommendation. Purdue doesn’t absolutely require this, but they do strongly encourage including a reference letter if possible. This is another place where Magoosh can help, so be sure to read our advice on how to ask for a letter of recommendation. Once you’ve assembled the best application packet possible, you’ll be able to truly benefit from Purdue’s favorable 56% acceptance rate. And you just might bump your personal odds of acceptance to something well above that 56% average! As you’ve already learned, Purdue expects to see GPAs in the 3.6-4.0 for the average accepted student. But just like the standards for Purdue SAT scores and Purdue ACT scores, Purdue may have more stringent GPA expectations for certain undergraduate programs. So if you are applying for a special undergraduate degree path, be sure to double check the expected GPA. Moreover, you should always double-check the GPA requirements of your program if you are applying to Purdue as a transfer student. If you are transferring from another college or University, Purdue will expect you to transfer into a specific major. Every major program has its own requirements for transfer GPA. Transfer students should always check the relevant departmental page for GPA standards. Whether you’re an incoming freshman or a transfer student, it’s good to keep an eye on your GPA to make sure your grades are Purdue ready. You can use Magoosh’s handy GPA calculator tool to do this. We’ve already looked at the parts of the freshman profile that help you understand how to get into Purdue. But it’s also good to look beyond Purdue admissions logistics. Setting aside Purdue SAT scores, Purdue ACT scores, GPA, and acceptance rate, what does a typical Purdue undergrad look like? In other words, what will your peers be like, once you’ve been accepted? For one thing, you should expect your peers to be a large group. According to Purdue’s website, the most recent cohort of freshmen consists of over 7,500 students! In this large cohort, you’ll find a lot of international students. Nearly 1 in 5 students at Purdue is an international student. You’ll also find plenty of classmates from outside of Indiana, although local students are the majority. 64% of Purdue’s students are originally from Indiana. Regardless of your chosen living arrangement, you should have no trouble finding a community of classmates. 40% of Purdue’s students live on campus, while 60% live off-campus, creating a healthy balance of students living in the dorms and students living in the larger Lafayette/West Lafayette community. Finally, let’s consider the typical declared major. Nearly half of all Purdue students are studying either engineering or business. So if you’re in one of those fields, you’ll have an especially large group of classmates to work with. However, with Purdue’s large size, students of any major will find plenty of colleagues that they can connect with. Here are a couple of extra fun/useful facts about how to get into Purdue, and what kind of school Purdue is. OK, maybe I’m silly to point this out, but I think this may be something that not everybody knows. Before I researched this and wrote this article, I myself thought Purdue was a private school. But no, it’s public! And since they feel to the need to point this out on a few different FAQs on their own website, it’s likely that a lot of people other than me also mistook Purdue for a private school. And speaking of FAQs…. We’ve covered a lot of ground today. But I want to make sure I haven’t missed any important questions. So here are answers to a few additional things that students often want to know about how to get into Purdue. What majors is Purdue University best known for? As you might expect, Purdue University’s best-known majors are its most popular ones. Purdue’s various degree paths in business and engineering attract the most students and attract the most national attention. What is Purdue University best known for? This is closely related to the previous question… but a little different. It’s worth noting that in a addition to its very popular business majors, Purdue’s education degrees have very high national rankings. And perhaps the one thing Purdue is most famous for is the Purdue OWL. No, that’s not some kind of animal mascot–it’s their online writing lab (their OWL). The Purdue OWL website provides writing guidance to high school and university English students from across America and around the world. Is Purdue University an Ivy League school? In the literal sense of “Ivy League,” no. Purdue is not a member of the official East Coast university sports conference that bears the formal name “Ivy League”. However, in its, popular use, the term “Ivy League” refers to national universities that offer elite, high-quality education. Arguably, Purdue may be Ivy League in this sense. When does Purdue release admissions decisions? According to Purdue’s official website for checking your application status, Purdue releases early Admissions decisions on January 15th, and releases general admissions decisions on a rolling basis between January 15 and March 15. Purdue is an excellent school, especially if you’re planning to study business, science, or education. In many ways, Purdue is the best of both worlds: a public university with a private-school-like reputation for excellence, and an elite school with reasonable admissions standards and a more-than-50% acceptance rate. Hopefully, the information I’ve given you about Purdue SAT scores, Purdue ACT scores, Purdue GPA, and other Purdue admissions has been helpful. But if you have any other questions about how to get into Purdue, feel free to ask them in the comments section! I would say 1160, the bottom score in Purdue’s middle 50% of accepted applicants, is the lowest possible SAT score you can get and still have a decent chance of acceptance. If you have a score below that, your chances of acceptance are 25% or lower. Remember, of course, that there are no absolute score requirements. If you have a lower SAT score but the rest of your application is strong in other ways, you still may be able to get in, regardless of statistics.